These beautiful 45CM 48 LED pink cherry tree lights are going shinning your Christmas home, or wedding party venues. The lights include 24V IP20 transformer, steady on only. 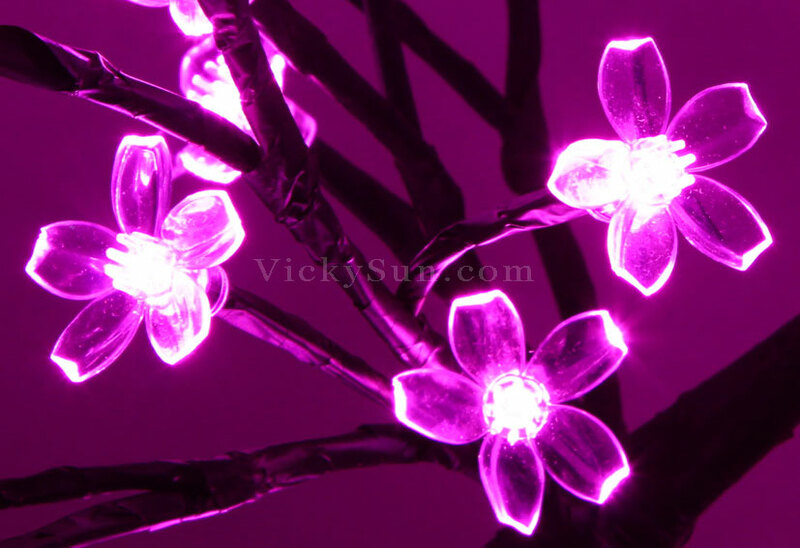 These bright pink LED cherry tree lights are great decor for Christmas and any parties. 48 LED Lights, 24V/2.4W Max.